Check disk status with smartmontools. Script checks all disks for their SMART values. The selected ones are reported, if their value is bigger what 0. Check disk drives for s.m.a.r.t. attributes failures. Bash script to check if snort daemon is up and running. Checks for available patches on SuSE and SLES Linux. Python plugin to check the status of a software based RAID device. patched version. So it will work on fc1,2,3,4,5 centos 4, Debian woody,sarge hosts. This PERL-based plugin monitors the value/string of a particular Linux/*BSD kernel sysctl oid you specify. You can even compare the value of one oid against that of another oid! Checks the time on the remote machine using ICMP Timestamp packets (sent using sing command). Checks the top running process on the system. Has arguments for warning and critical levels. Checks interface traffic by querying the proc-Filesystem without SNMP ! A patch to make the check_debian_packages plugin suitable for use with Ubuntu. A plugin to check that a file/directory of files have a recent update to them. This can be useful for checking for stale log files on systems that don't have other means of tracking the health of services. Script to check the uptime of a Linux system. 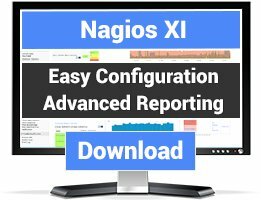 A simple bash script which does the same as check_users from the official Nagios Plugins does. Additional you can exclude users or groups from being counted. A small plugin to check who is logged on a linux machine and the external ip of this user. Monitor disk space, memory and swap usage using the vsmon backend, with a "no configuration" philosophy. 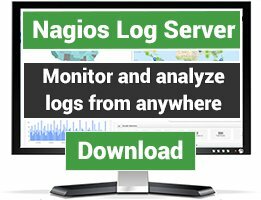 check_writable is a Nagios plugin that checks if one or more directories are writable. Checks the YUM package management system for package upgrades, for example on Fedora, Red Hat Enterprise Linux, CentOS or Scientific Linux systems. Using the YUM Security plugin, it may differentiate between normal and security updates. This is a nagios plugin to check how long it has been since yum update was last run. It should be installed on each server you want to check and accessed via NRPE. 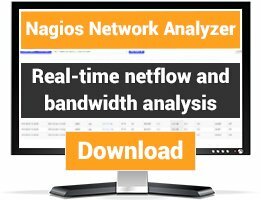 Monitor ZFS pools on Linux. Check a ZFS pool for health, fragmentation, capacity, and other statuses and metrics on Linux operating systems. Monitor available software updates for zypp based systems like openSUSE or SUSE Linux Enterprise. This is an initial effort to write a plugin that looks at the no. cores on the host to set the CRITICAL, WARNING and OK thresholds. The plugin also graphs the 1, 5 and 15 minute averages. Small script to locally check the queue of cups printers. This plugin updates Debian apt database, then checks for available upgrades to install. Set WARNING if upgrades are available, OK otherwise (nothing to upgrade). Useful to be warned when security updates are available for your system. Check's disk service time on Linux block devices. Some esx checks written in php using a ssh keypair system for people who want to keep their system certification by not installing external software and don\'t want to use snmp. A script to store performance data in rrdtool databases written in perl. GFS performance data. Returns values under Absolute from "gfs_tool counters" for trending purposes.